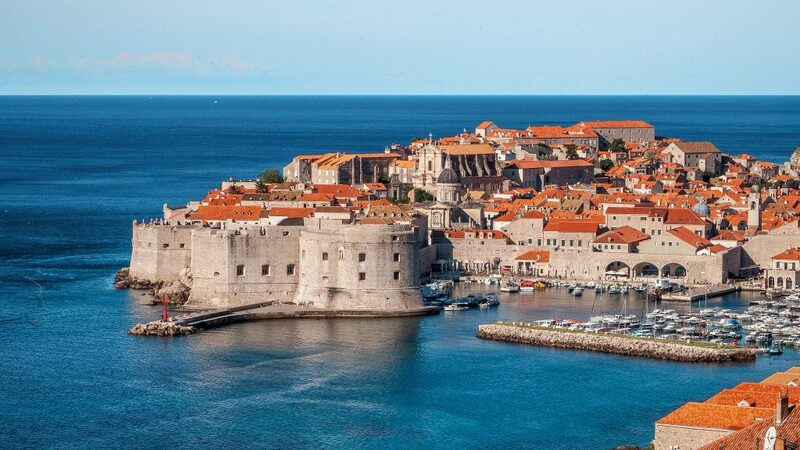 Settled in by Ancient Greeks and Romans and subsequently defended against Venetians and Ottomans, Croatia displays more than 2,000 years of history, from Istria to Dalmatia. Some is locked up in museums but much is left as it was built, open to the elements and accessible to visitors today. The most accessible and the most frequented of Croatia’s historic ruins is the Diocletian’s Palace in Split. Every day, thousands walk through its main square of Peristil, perhaps not realising that they’re brushing past a near intact Ancient Egyptian sphinx from Luxor. Diocletian’s Palace still houses a living community of residents, shopkeepers, restaurateurs, hoteliers and bar owners. 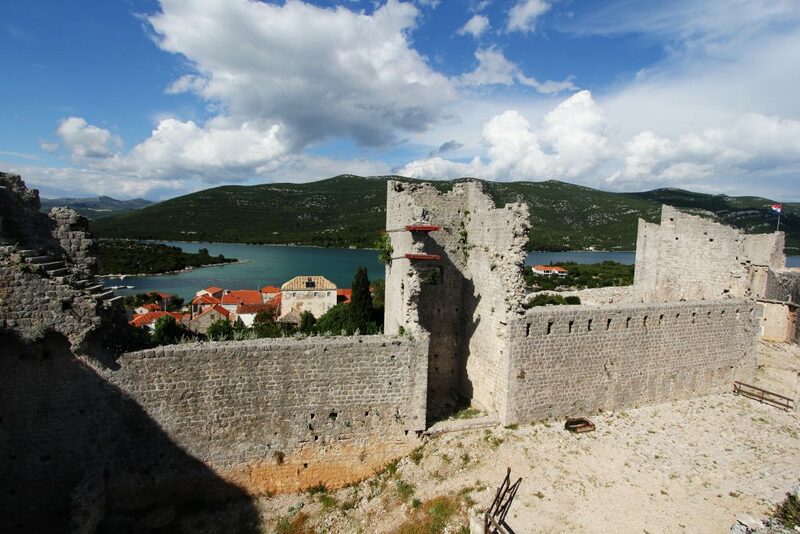 Built in the early 300s, it is essentially the retirement home of the Emperor Diocletian and a surrounding garrison. Still clearly visible are its gates, the Temple of Jupiter and Diocletian’s mausoleum, later transformed into Split Cathedral. Think of Croatia and you think of the City Walls of Dubrovnik, shining pristine white against the blue of sky and sea, and containing within them the Jewel of the Adriatic. Instigated after liberation from the Venetians in the mid 1300s, the Walls gained their elegant, rounded shape thanks to Florentine architect Michelozzo, of Medici Palace fame, brought over in the mid 1400s. Sturdy as well as beautiful, withstanding the terrible earthquake of 1667, the City Walls can be strolled around as part of a walking tour that starts from the Pile Gate. A sumptuous example of Byzantine art and architecture, the 6th-century Euphrasian Basilica is found in the coastal resort of Poreč halfway up the west coast of Istria. It stands on the site of a former Roman villa whose floor mosaic is displayed in the Basilica garden. The centre piece of his episcopal complex, the Basilica was commissioned by the Bishop Euphrasius from the 550s onwards. 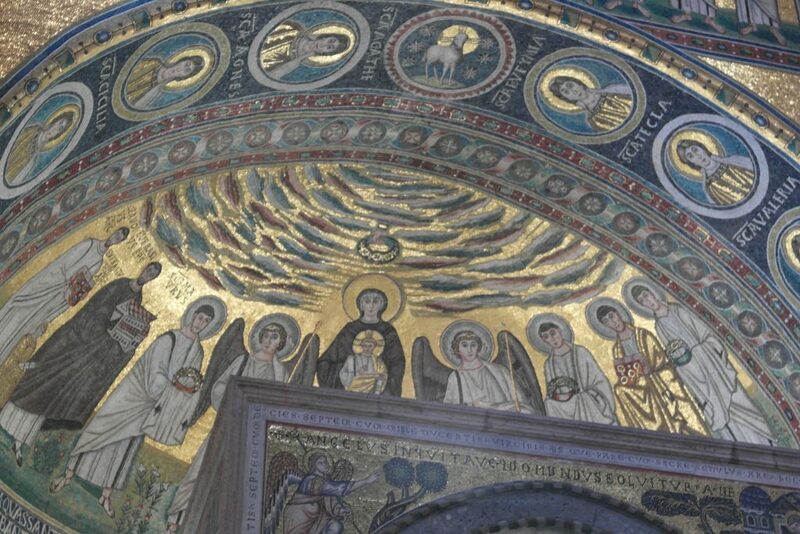 The most striking features are its golden mosaics, particularly the one above the apse depicting Christ and the Apostles. Bishop Euphrasius himself makes frequent decorative appearances. 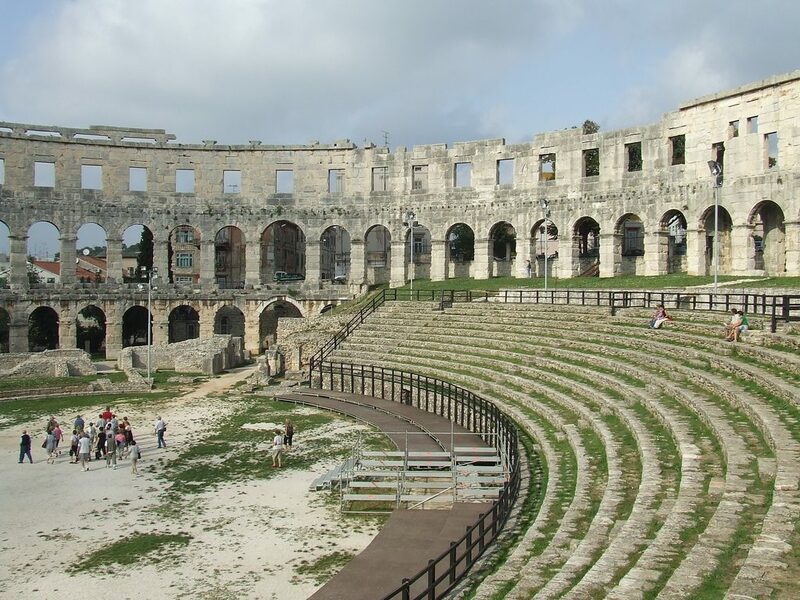 Located right in the centre of Pula, the Roman Amphitheatre is one of the finest of its kind still remaining. With a complete ring of outer wall still intact, it is the best preserved of Croatia’s ancient monuments and very much in use today. Overlooking the Adriatic, it provides the atmospheric setting for the annual Pula Film Festival and a summer series of live shows by big-name opera singers and mainstream pop stars. You can also wander in by day and walk along the same corridors where gladiators and lions were led out to the crowd. One of the largest Roman settlements in the region, Salona was the provincial capital of Dalmatia in the time of Diocletian. A community of 60,000 used its baths, went to its amphitheatre and crossed its forum. The sacking of the city by Avar and Slav tribes in the sixth and seventh centuries saw citizens flee to take up home in what was the Diocletian’s retirement palace in nearby Split. What you see of Salona today, now called Solin, are the base of the amphitheatre, trunks of columns and gravestone carvings scattered around an extensive archaeological park. If you’re going to see one church in Croatia, Trogir Cathedral would be a fine choice. Its bell tower rises up over the tiled roofs of the pretty town of Trogir close to Split airport, with the Cathedral dating back to the early 1200s and taking more than 400 years to build. As such, it serves as a history of ecclesiastical architecture in Dalmatia, beginning with Romanesque and moving through various stages of Gothic. 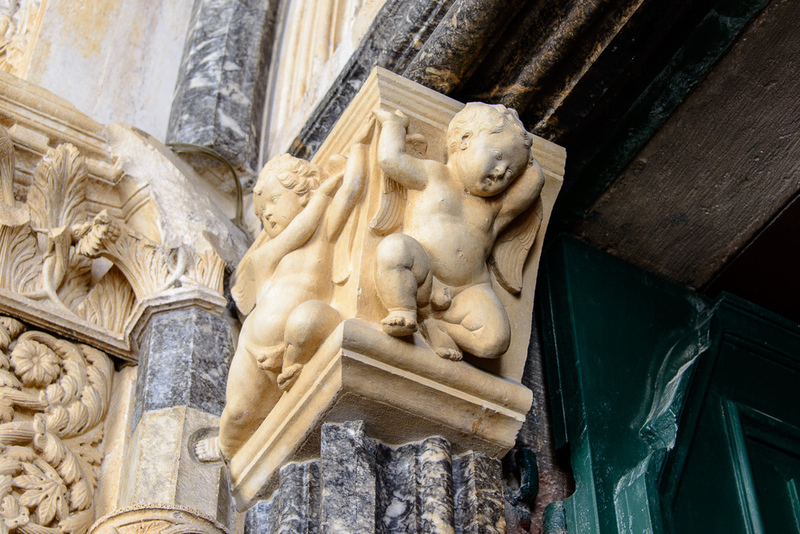 The portal is a work of art in itself, signed off and dated by its creator, Master Radovan, in the year 1240. Stretching out like the Great Wall of China, the Walls of Ston were created to defend the Republic of Ragusa, today’s Dubrovnik. From the 1300s onwards, a fortification some 7 kilometres (4.5 miles) in length was built and painstakingly maintained. Interspersed by some 40 towers, it also protected the precious salt pans nearby. Raided by the Habsburgs in the 19th century for their own constructions, the walls were also significantly damaged by a terrible earthquake in 1996. As a result, the walls now run for 5.5 kilometres (3.5 miles). At the mainland end of the Pelješac peninsula, they connect the twin settlements of Mali Ston and Ston town. 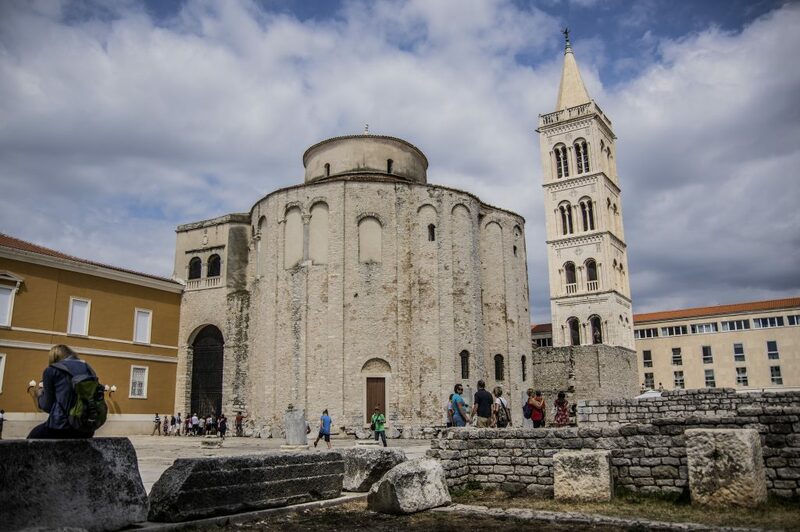 The main town of northern Dalmatia, Zadar was a Roman colony for 500 years. The Romans built city walls, baths, an amphitheatre, an aqueduct and streets in orderly straight lines, centrepieced by a main square: the Forum. 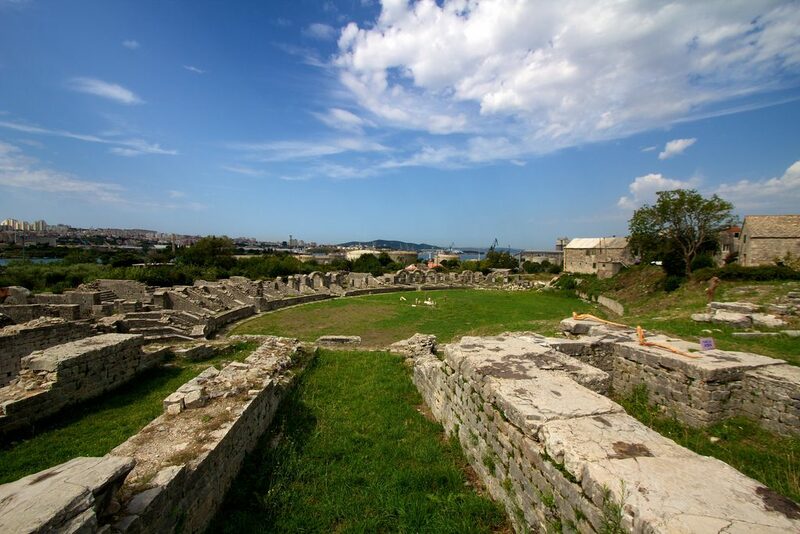 More than 1,000 years later, remains of these Roman landmarks were used to construct Zadar’s present-day fortifications by the Venetians in the Middle Ages. What’s left is the outline of the forum, the main square alongside the Church of St Donatus and a scattering of columns and chunks of former temples on Zeleni trg behind it towards the Adriatic.